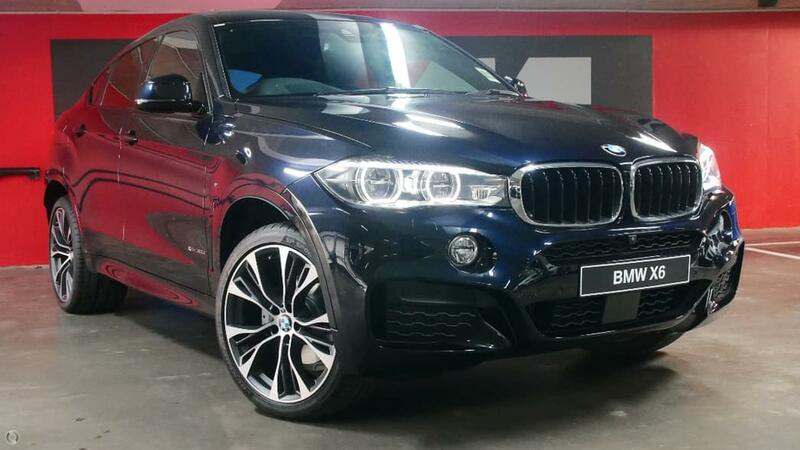 This X6 F16 xDrive30d is finished in the very desirable and very sporty Carbon Black metallic with Leather Dakota Black and is available for immediate delivery. - Complete Detail inside and out. *DRIVE AWAY PRICE (Includes VIC Stamp Duty & Statutory Charges). We are s largest BMW dealership with an abundance of new, used and demo vehicles conveniently located 3 kilometres from CBD. Finance available through BMW financial services, enquire now for a no obligation pre-approval. BMW financial services also offers extended warranties and competitive comprehensive insurance, Enquire today. We more than welcome interstate customers and we can arrange the trade-in of your existing vehicle. Please note the stamp duty amount payable will vary depending on the state. Please enquire to discuss further. Be Quick as this vehicle will not last. Enquire for a test drive today.